For the Carpatho-Rusyn chant tradition this is the basic collection of melodies. This is not the only version for the repetoire nor does it represent a complete version (as noted below with the missing Samohalsen tone 4 as one example). But the Prostopinje has become the standard textbook for teaching the chant system since this publication. 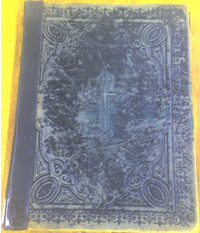 The book is in Cyrillic Church Slavonic in standard western music notation single voice. The following downloads are PDF files of the entire publication. The first file is the complete book but a large download. The rest are the book broken up into two-megabyte or less files. The scans were created as part of the Podoben list project on Yahoo groups at groups.yahoo.com/group/podoben. Also included here is the missing tone four samohalsen music and a commentary on tone four by Dr. Stephen Reynolds. For some reason the prostopinije omits this tone. Here is the music and this is the commentary. The title pages and contents. Section II is matins and section III is vespers. Section IV covers the Great Fast through Pascha and section V is the Pentecostarion. funerals, marriage and other special services. Divine liturgy of St. John, Basil and Presanctified Gifts. Bokshai, Ioann, and Iosephom Malinich. Tserkovnoie prostopiniie. Uzhorod: Eparchy of Mukachevo, 1906. 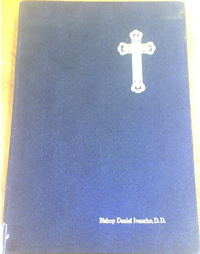 Hard Cover 9.5″ wide by 12.25″ high. Western music notation in Cyrillic Church Slavonic. thank you so much for making this available in its entirety!